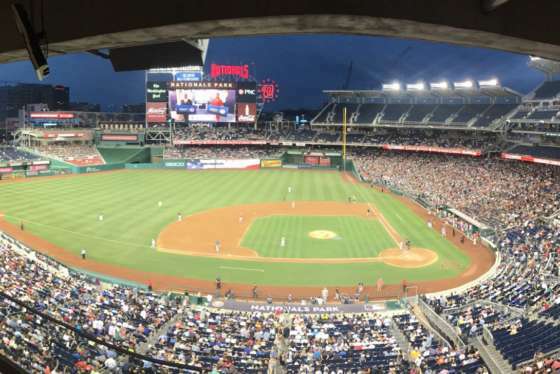 After a record setting attendance at last week's Congressional baseball game, Wednesday night's Congressional Women's Softball Game is expected to raise a record amount of money for charity. WASHINGTON – Donations have poured in for Wednesday night’s Congressional Women’s Softball Game in the wake of last week’s shooting on the eve of the Congressional Baseball Game. This is the ninth year for the women’s event and this year the game is expected to raise more money than ever before. “We are thrilled that we are going to set records,” said Rep. Debbie Wasserman Schultz, a Florida Democrat. Last year’s game raised more than $200,000 for the Young Survival Coalition, a group focused on helping women diagnosed with breast cancer. With the money from this year’s game, the event has raised more than $1 million over the past nine years. “The opportunity to go to bat, quite literally, to help young women who are dealing with breast cancer is something that unites us all,” Shultz said. The game is hosted by Watkins Recreation Center in Southeast D.C. and features female members of the media playing female members of Congress from both parties. As always, there will be a security presence but it could be heavier than normal following the shooting at a Republican baseball practice in Alexandria, Virginia. That shooting left Louisiana Rep. Steve Scalise with severe injuries, his condition was upgraded to fair on Wednesday.